No matter the color or pattern, the right linen can transform the décor of any table. From cotton, cotton blend to 100% polyester, we offer a wide variety of fabric and color options. 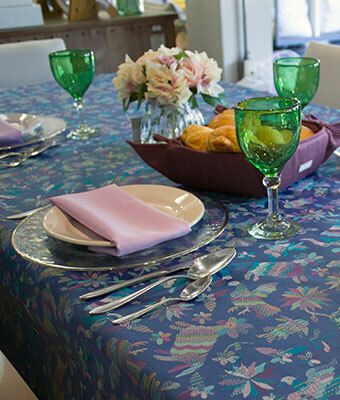 Our range of tablecloths has features such as stain resistance and high solid colors that can be machine washed. Mix and match our fabrics to create a unique look.